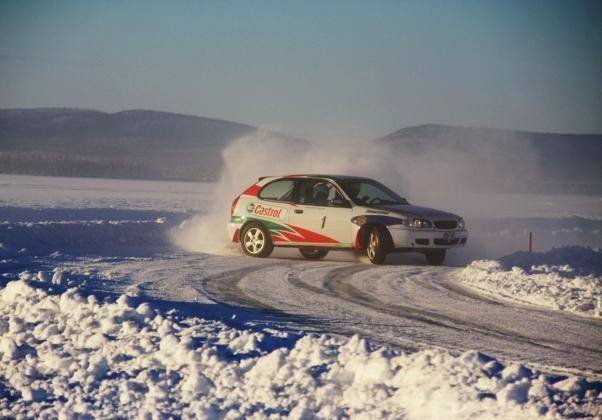 To drive rally cars at a frozen lake is a unique experience. We have four a rally track right outside our office. It is really fun. We meet at our office right beside Holiday Club shop at Åretorg. It requires at least 8 people to be a race. If you are fewer we put you with another group on a specific date. You need to have driving license for this activity. To be under the influence of alcohol, drugs or other medication is not allowed. Join us and for a fun race at our rally track! We have four Group N rally cars, which we have take all the interior out and put in some real rally chairs and rallycage. Everyting is made for you to get the right feeling.